Offering incredible color accuracy and stunning, razor-sharp images, the ViewSonic 1080p DLP DarkChip3 Technology HDMI Home Theater Projector (Pro7827HD) with Vertical Lens Shift and RGBRGB Color Wheel is one of the ideal projectors for home theater entertainment. 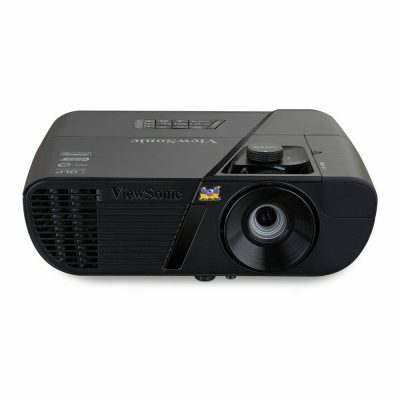 Featuring Full HD 1080p resolution and ViewSonic’s SuperColor RGBRGB technology, this projector delivers incredible detail and brilliant color gradient coverage. Designed with ISF certified day and night modes and a choice of five unique view modes fit for different scenarios, the Pro7827HD delivers optimized color for a true cinema experience. Get this amazing technology for yourself today for only $399.99.